Hurry to Winco to score Tillamook shredded cheese for better than free! Check the display located by the store entrance for a flyer with Tillamook coupons in it. 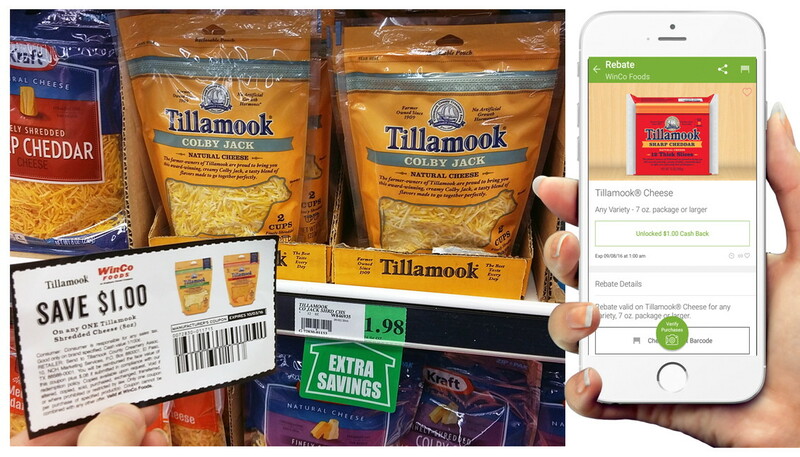 There, you’ll find a $1.00 Tillamook shredded cheese coupon. Buy one eight-ounce bag, on sale for $1.98. Use the coupon at checkout and pay $0.98 out of pocket. Later, submit your receipt for $1.25 in Ibotta credits, and score a $0.27 moneymaker!